In January, Luxury & Services Rent named the best events for the first half of 2015. Now we turn our attention to July to December, and count down four of the best events the Principality has to offer in the second half of 2015. Although this is not necessarily a one off event, as the Sporting Summer Festival spans out for the whole of July, most will only choose to go to one show. While the nights are warm, sip champagne and be entertained by some of the world’s most famous names in Le Sporting, Monte Carlo. Lady Gaga and Tony Bennett will be the opening acts on 4th July, with tickets starting at €450 for the dinner show. Lenny Kravitz, Carlos Santana and legendary French performer Johnny Hallyday will also perform in July; with all except for Lenny Kravitz performing after a gourmet dinner has been served. Formal attire is required for the shows and attendees can benefit from the valet parking on arrival to ensure their luxury cars are properly cared for. Alternatively, those who would like a drink or two alongside the show can take advantage of our French Riviera chauffeur service for a comfortable delivery to and from the show. Aside from the Monaco Grand Prix weekend, this is perhaps the most glamorous event in the Principality every year. As with the Grand Prix, the Prince opens the show, before the great and the good from the luxury yacht industry gather in Port Hercule to witness the latest superyachts being launched. During the day, there are displays of superyachts available for charter and sale, the latest yacht toys and tenders and live music on some of the boats. The evening is no less action packed, with black tie events, awards dinners and parties every night. 2015 marks the 25th anniversary of the yacht show, so we are sure that there will be a few surprises in store for those who decide to visit. For more information about the show, visit this website. Even as the nights draw in, the Principality is alive and awash with activity. Another musically themed event takes place in November, as the annual Monte Carlo Jazz festival opens its doors to jazz lovers. The precise date has not been confirmed yet, however you can keep up to date with the latest news about dates and the artists performing with the Monte Carlo SBM website. In December, Port Hercule is transformed into a winter wonderland, with Christmas markets selling traditional fare, a large Ferris wheel reminiscent of the London Eye and an open air ice rink. 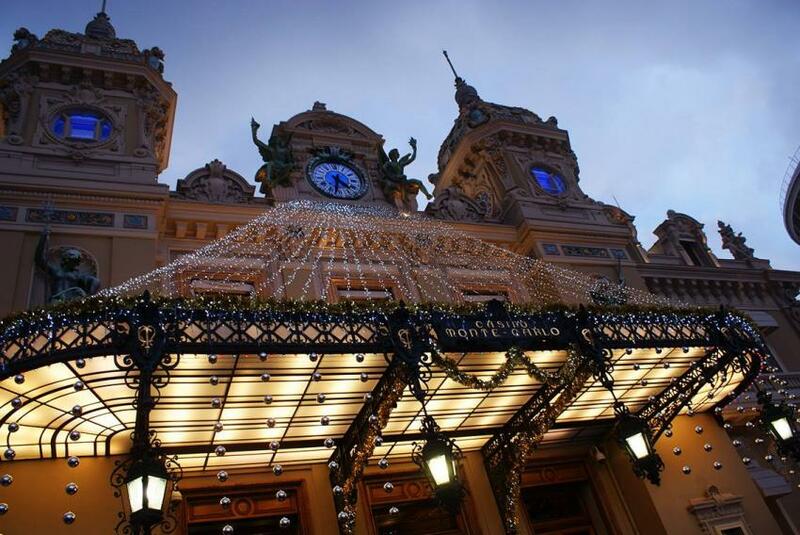 No day is better to experience the Principality than New Year’s Eve itself. Discover Port Hercule during the day and then move onto one of Monaco’s many luxury hotels for a soirée of gourmet food. At midnight, there is a long fireworks display from boats out at sea to see in the New Year and what will, of course, be another event-filled year in 2016. The Monte Carlo Bay Hotel & Resort offers a New Year’s Eve menu and views over the Casino. If you are planning a visit to the Principality for any one of these events, contact us in advance and we can meet you at your preferred location with a luxury car rental. For Monaco we recommend a Ferrari hire, such as the F12 Berlinetta.